Clearly, this is a cause for concern – except that it isn’t. You see, the emotive word in this call-to-arms is ‘Township’. However, when you read the actual tender document, it becomes clear that the word in being used in its original sense – as an innocuous urban planning term that means the same as ‘suburb’. 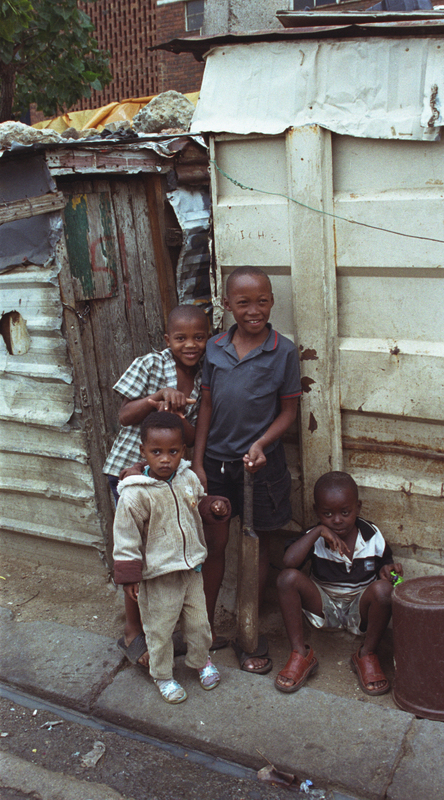 It has nothing to do with our uniquely South African concept of township as an urban slum, such as Alexandra. If you want proof, just have a look at your monthly account from the City of Johannesburg and you’ll see the heading ‘Township’ followed by the specific name of your nice, pretty residential suburb. 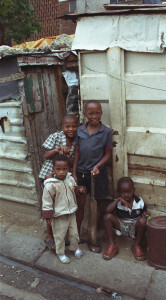 Yes, whether you live in Houghton or Highlands North, you too are living in a Township! So, let’s put aside our knee-jerk reactions and take a closer look at the proposed project in order to formulate an informed opinion. The proposal, as described in the CoJ’s tender document, is to develop the 17 000ha plot of vacant land roughly bounded by Modderfontein Road, the Sandringham Dip and the M3 highway. This would include the construction of residential units for low to middle income families along with educational, recreational, retail and corporate spaces. Now that doesn’t sound so bad, does it? Yes, the housing is going to be relatively high-density (probably including a couple of thousand apartments) and yes, the development is intended for lower-income earners. But that doesn’t mean the land is going to be given over to shacks and spaza shops. Instead, the city is trying to create ‘gap housing’ for people of limited means but with upward mobility. After all, we’re never going to clean up genuine slums if we don’t give people a viable alternative. Obviously, the relative pros and cons of the development can only be determined once official drawings and plans have been submitted. And there’s a long way to go before that happens. In the meantime, rest assured that there’s still plenty to get worked up about. The real cause for concern (as outlined in Marian Laserson’s excellent report) is that there seems to be a lack of proper paperwork behind the company that won the tender, which was originally issued in 2011. According to Laserson, the winning bidder is a new company that was registered just a few years ago, with little practical experience in the field and few financial statements to back up its ambitious plans. There is also confusion about the status of the Environmental Impact Assessment (EIA) – a legal requirement that must be completed by the developers and approved by the authorities before any construction can begin. OK, now that you have a more factual grounding on which you can legitimately base your reactions – get busy! For more information, you can read the relevant documents for yourself (attached below) or get in touch with an appropriate authority. No doubt, special interest groups and public participation meetings will also be set up in the near future. So, by all means, make your voice heard. Everyone living in the surrounding area should definitely engage with this process so that we may all benefit from the long-overdue development of this valuable land. It is a very interesting space with historical, environmental, social and economic implications. And I fully believe that we should all work together to improve our urban environment. The potential is indeed enormous – as long as we reign in our natural tendency towards hysteria (especially when it is based on a misunderstood word). That isn’t to say that we should turn a blind eye and allow the developers to flout the law. We just have to be cautious without being dismissive. IMHO. We are strongly opposed to the plans for a mixed-use township development scheme which will establish a township comprising 8000 low-cost houses, public schools and shopping centres in the area between Club Street and Modderfontein Road up to the Alphen lodge and Inyoni old age homes. This development exposes the community to severe health risks. The land designated for development in the Rietfontein hospital area (now Sizwe) contains 7000 graves of people and animals who have died from serious contagious diseases like Ebola, Anthrax, smallpox, foot-and-mouth disease and others. Some of these diseases are known to stay dormant in the soil for hundreds of years, only to be released when they are airborne. Disturbing this soil could lead to an untold epidemic affecting thousands of people! The small medical dig sample which has been carried out is definitely not a conclusive indication at all, as there is no record as to how and where each of the disease carriers has been buried. It is further important to note that the proposed development stands over a graveyard of 7000 graves of all races and faiths¸ with numerous Christian and Jewish graves, all of which will be desecrated should the development take place. There are further serious concerns about the natural habitat and eco-system of the flora and fauna (wild monkeys live in the area, to mention just one of the endangered animals), and this will be destroyed once the development is underway. It is inconceivable that such destruction should be allowed to go unhindered. Furthermore, the development of this scheme will pose great risks with regard to safety and crime levels, security, infrastructure, environment and sanitation; and will result in unacceptable and increased traffic congestion on the roads leading to the N1, the OR Tambo Airport, Eastgate shopping centres and other developments in the area. It will also result in the inevitable reduction of property values in all the surrounding areas, which have become suburbs of choice over the years for the multitude of citizens who live and work there. .
We take the strongest exception to this proposed development and call on the developers and the local municipality to prevent it from going ahead in the interests of the thousands of households, men, women and children, animals and nature, whose lives and futures will be at risk should it be given permission to continue. 1. At a presentation by the town planning firm, Urban Dynamics, on 10 September 2014 in Edenvale, the project was shown as quite different from the original tender. (You can get the presentation off the Urban Dynamics web site.) The project has now grown to over 10 000 dwellings for sale under sectional titles, mostly in blocks of flats more then 4 storeys. This is significant, because any building higher than three storeys must have a lift and any building with a lift is too expensive for the “gap market” or for affordable housing. Only a very few single family houses are shown, mostly the development is envisaged as 60 dwellings per hectare. More: Point 2. Your assertion that the property is 17 000 hectares in extent is a huge joke. The portion intended to be developed is about 190 ha. Point 3. The developers have totally ignored the majority of the graves. We have records of people being buried there as late as 1953, so how dare they plough up these?! as well as the other 6 000 or 7 000? Point 5. There is a lot more, but please quit mentioning “Sandringham” in this connection. It is totally misleading, except for the fact that the proposed development includes the police station known as the Sandringham Police Station even though it is not in Sandringham.